You don’t have to break through walls and pull up floorboards to achieve a creative office design, but you should aim to smash through boundaries wherever you can. Productivity, social activity and overall happiness were once treated as separate entities that had little to do with one another. Nowadays we know a lot better than that. When you construct an environment that doesn’t create divisions, the output of your workplace is guaranteed to improve. Our office refurbishment team are experts at designing a setup that’s tailored for your needs. Not every company is the same, so we aim to find a solution that’s right for you. Because your company is like no other, you need an office refurbishment that’s like no other. Our team know better than anybody that in order to achieve a truly unique project, it’s best to have as many options as possible. This means we keep a huge stock of executive and designer furniture that will make any office truly pop. When you work with us we’ll be able to show you a range of products that will complete your office refurbishment and prompt the next stage in your company’s growth. 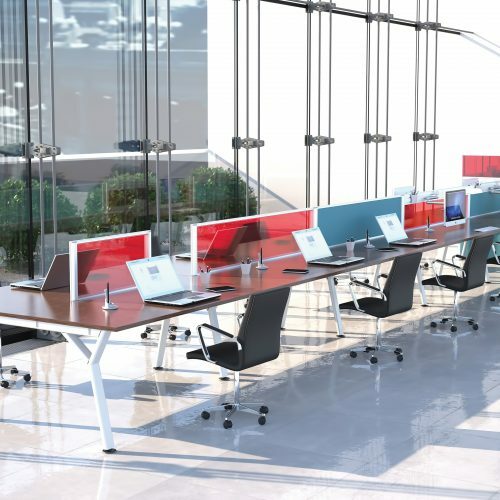 Granting access to some of the most contemporary office furniture available in Ireland today is only part of what Axis can do for you. After all, you wouldn’t just put a bunch of furniture in a room and expect it to look good and conjure great productivity. Our team are able to work with you to create a tailor-made office fit out that’s exactly right for what your office needs. A good workflow arrangement, a layout that allows for easy communication and breakout zones to encourage creativity can all be planned into your office refurbishment, no matter how big or small your company is. There’s an art to making an efficient office environment and we can use our expertise to do it for you. There’s a lot to consider when creating an innovative office refurbishment. Good planning is crucial and working with a team who understand your needs is the best way to ensure success. Get in touch when you’re ready to put together the perfect office refurbishment.